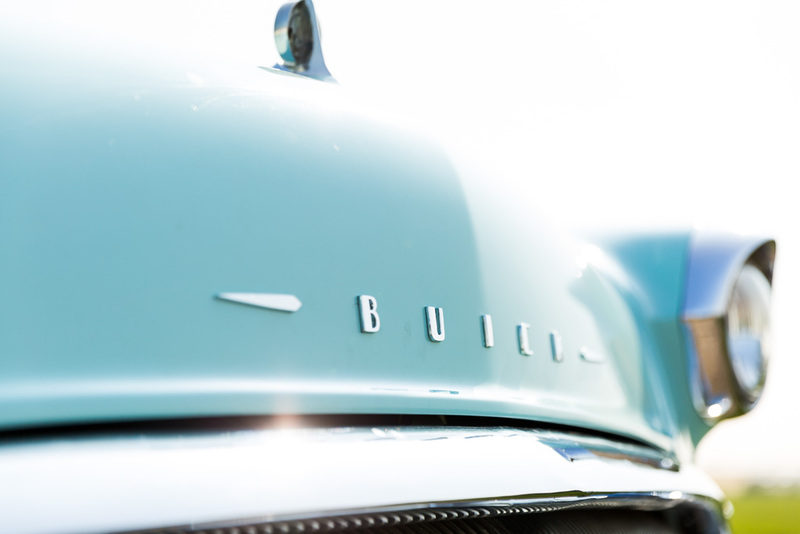 Buick launched the Buick Super in 1940. 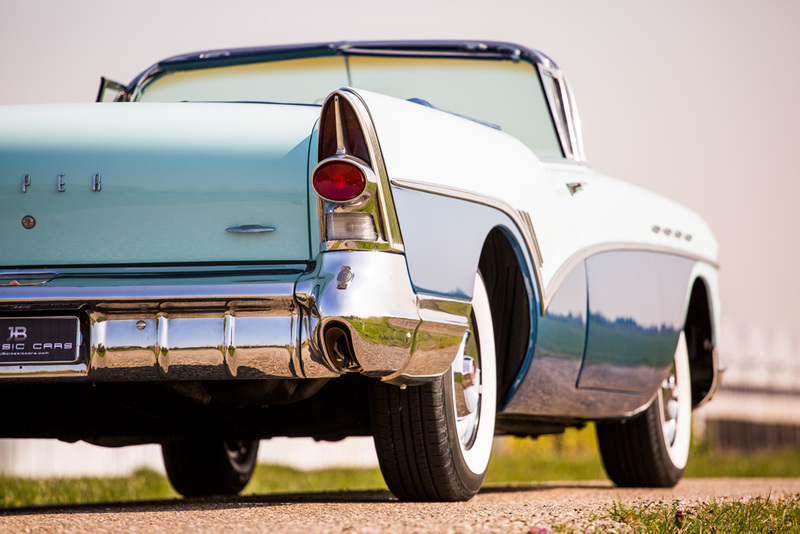 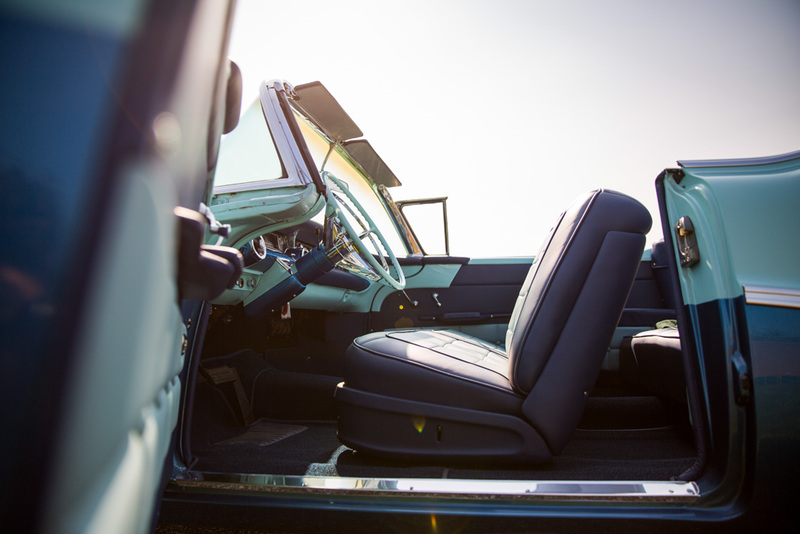 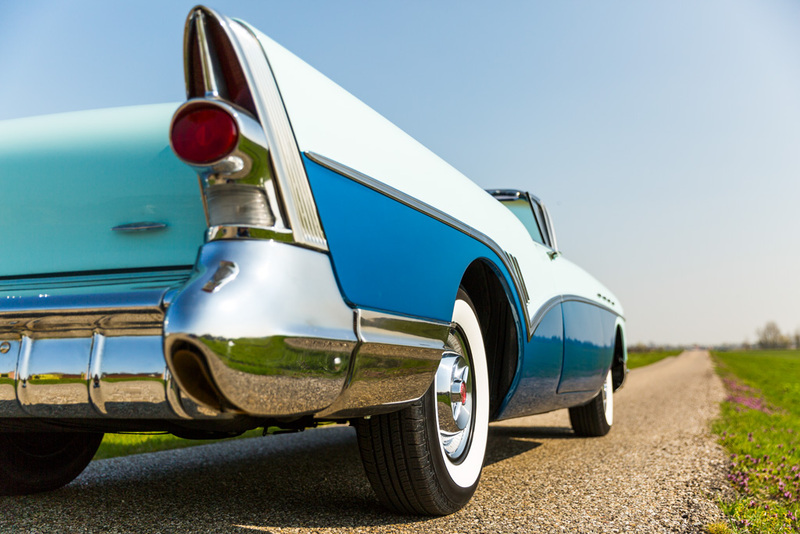 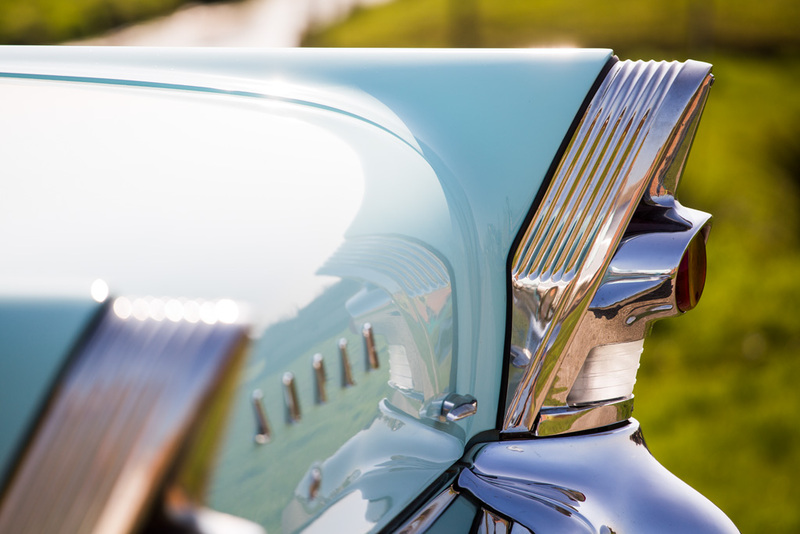 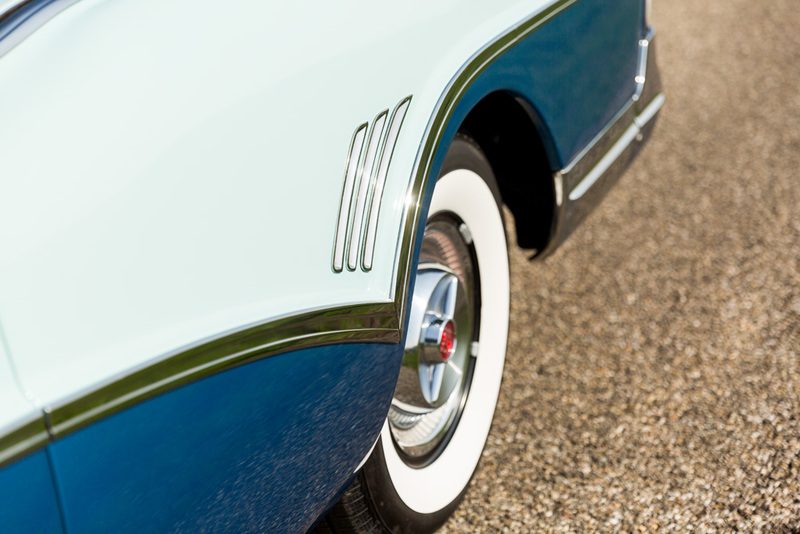 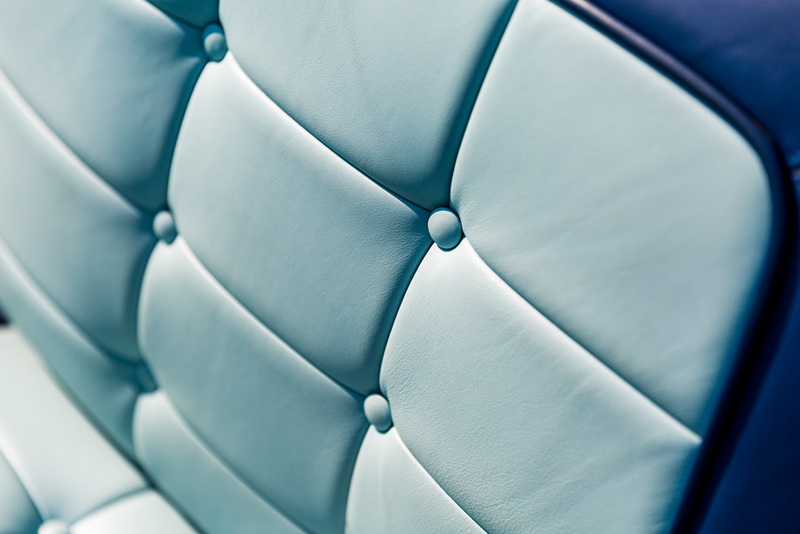 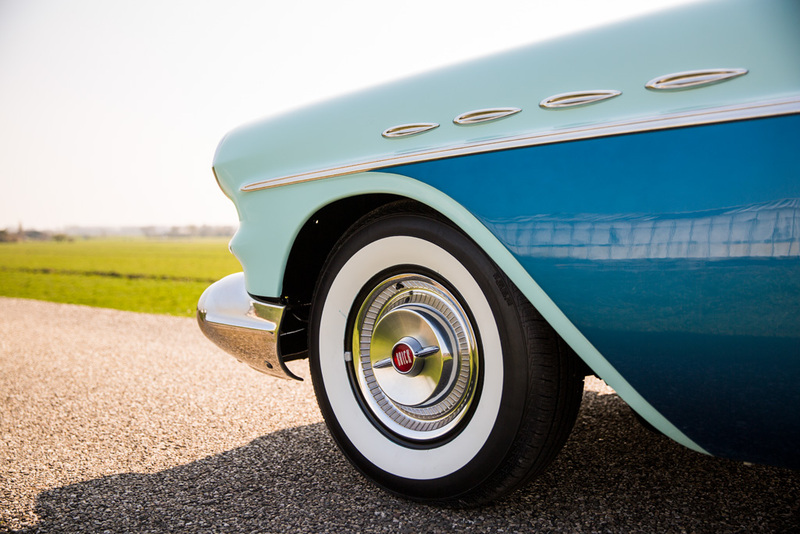 Throughout the years, the model underwent some changes until it was succeeded by the Buick Riviera in 1964. 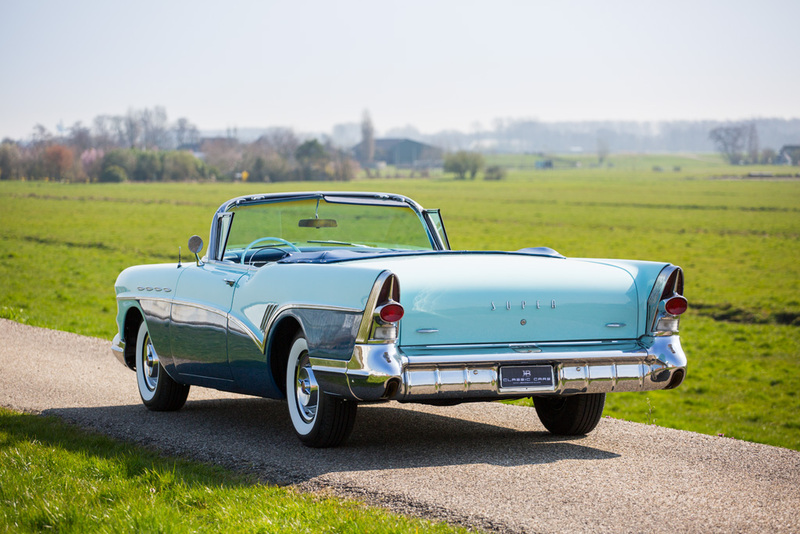 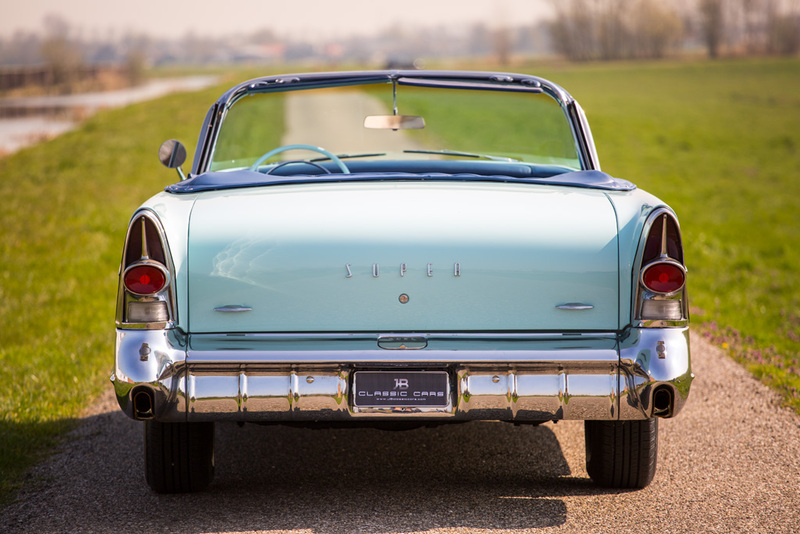 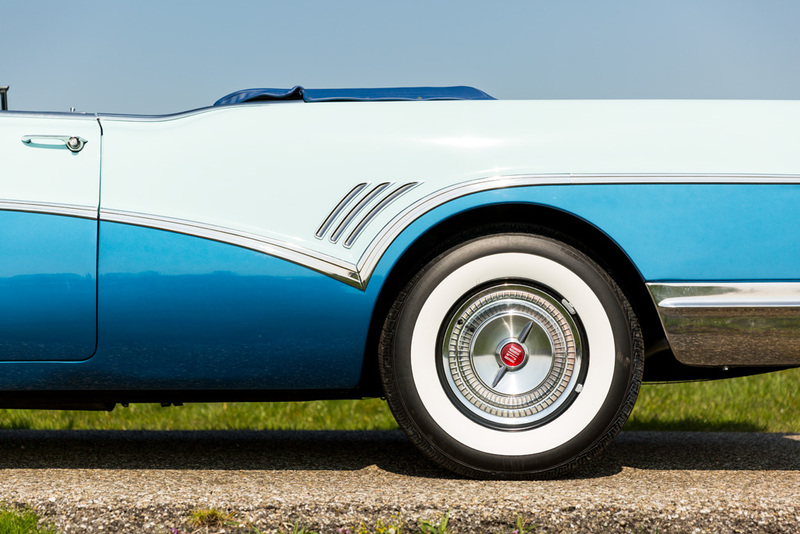 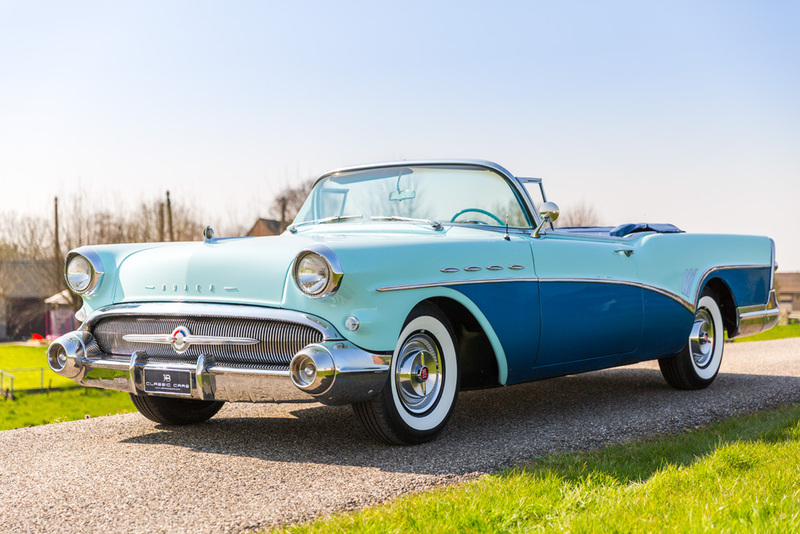 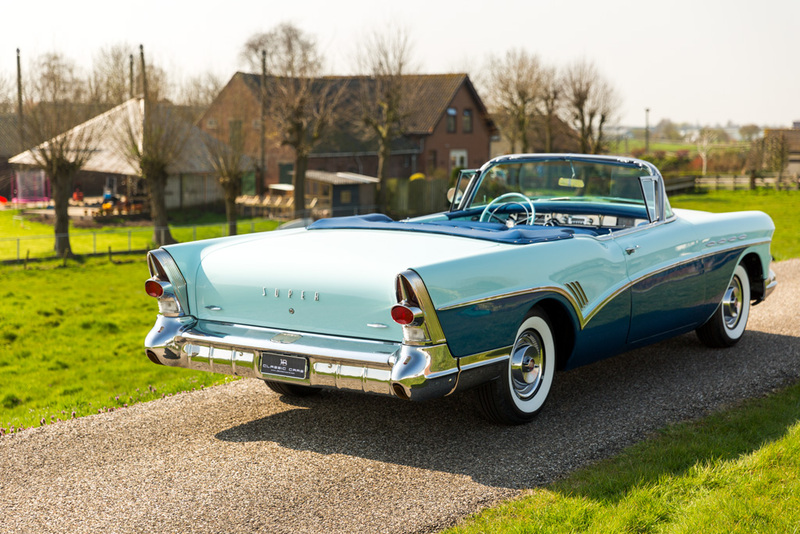 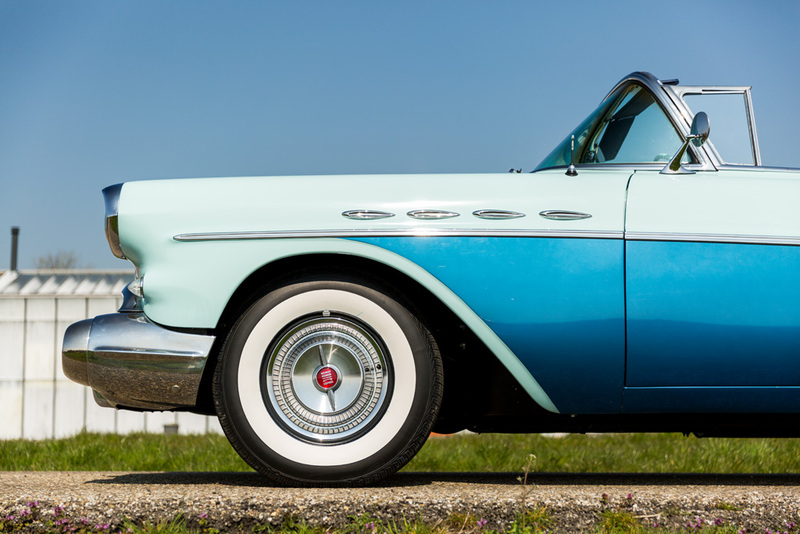 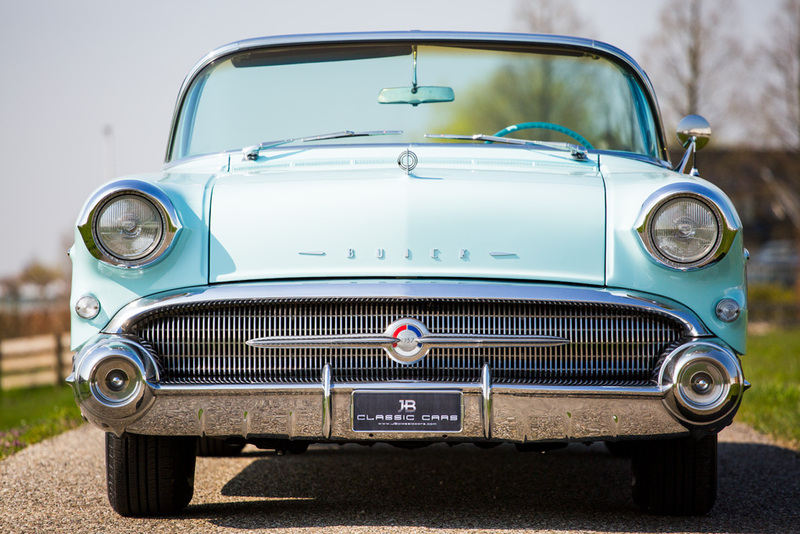 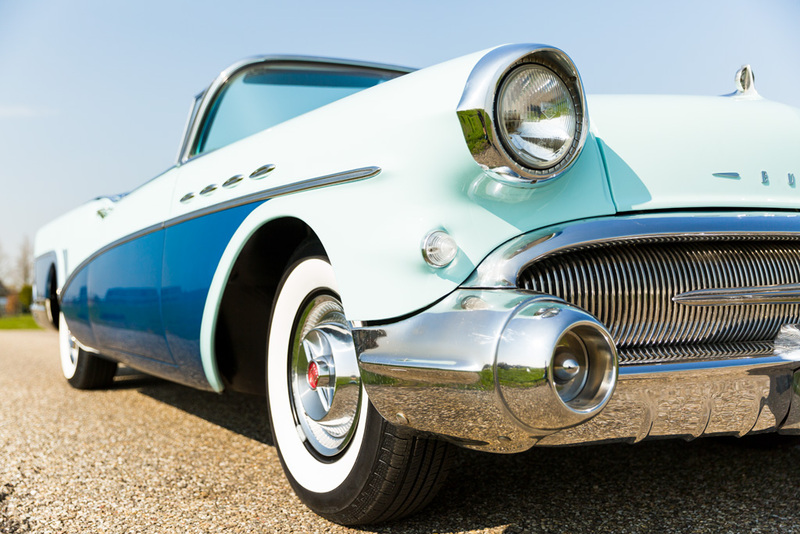 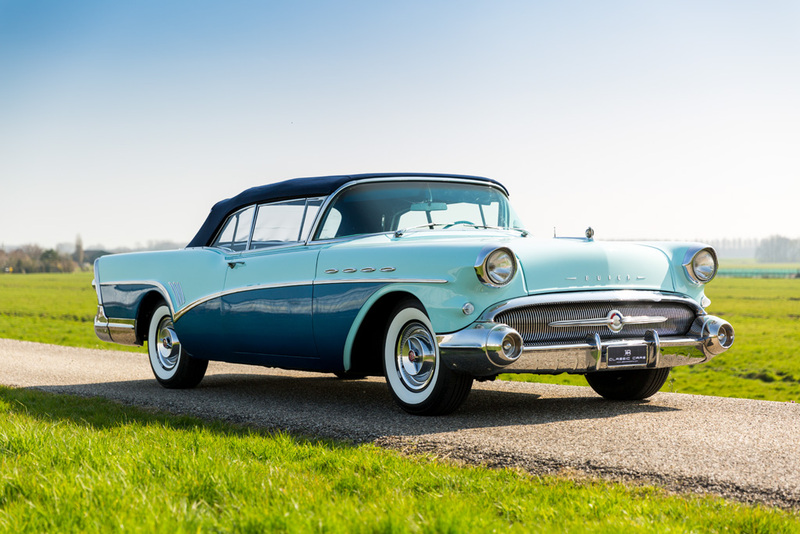 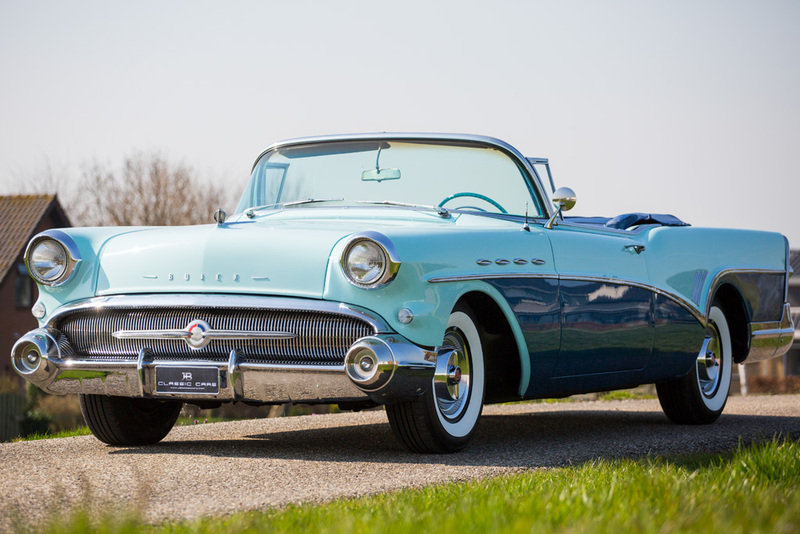 This Buick is from 1957, the last production year of the Super convertible. 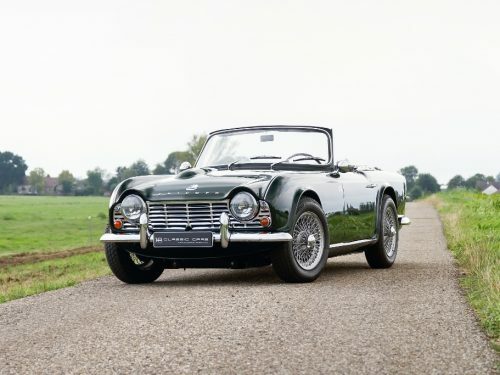 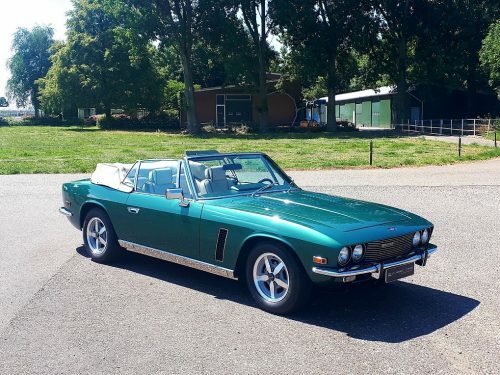 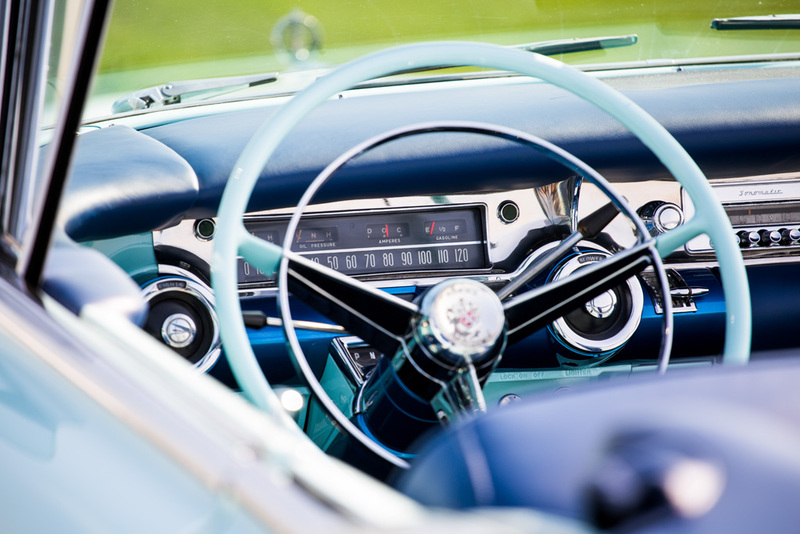 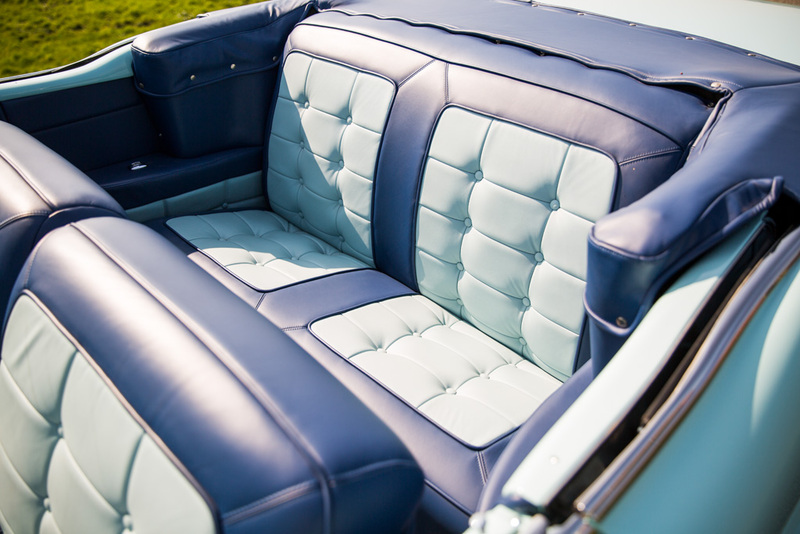 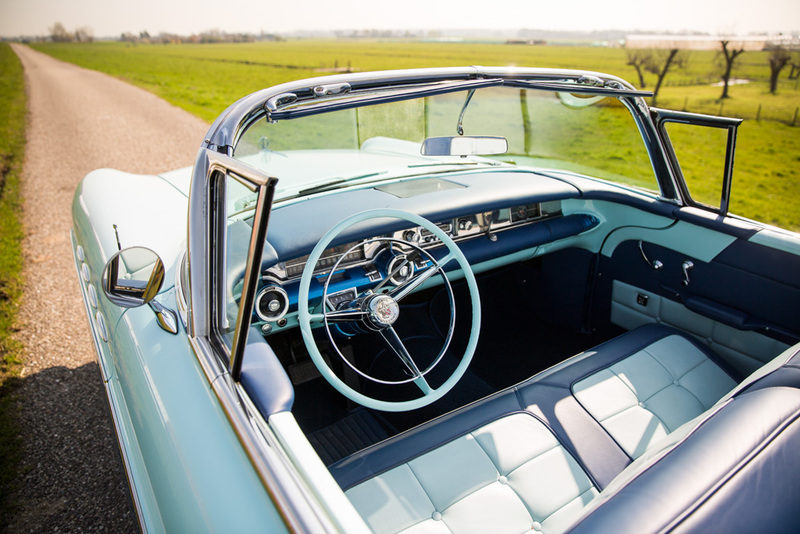 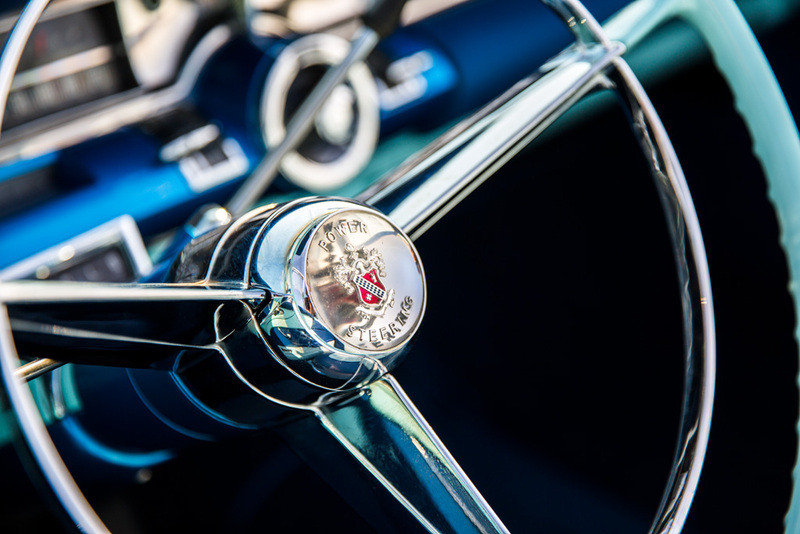 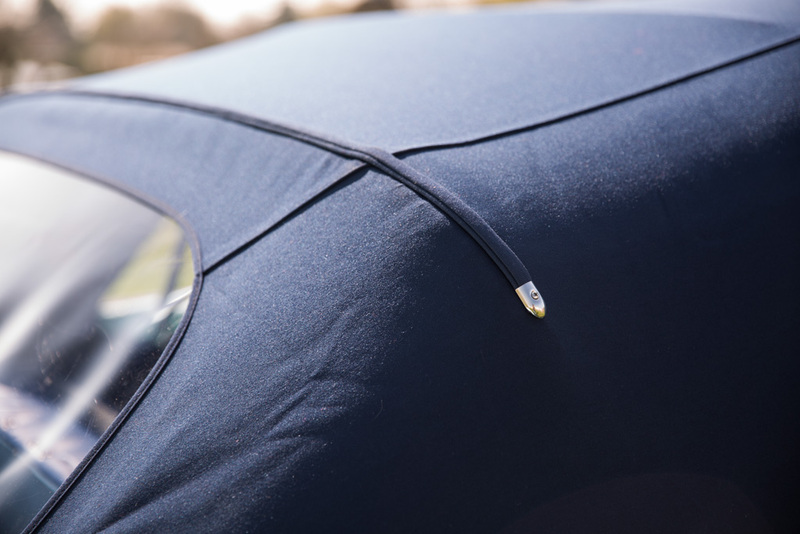 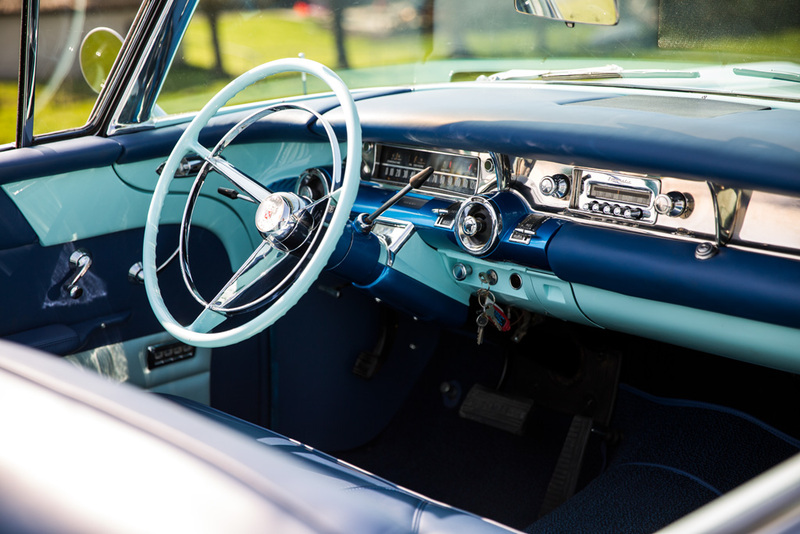 Convertibles came with the ventiports on the fenders, with a cordaveen interior and were equipped with modern options like electric windows and electric seat control. 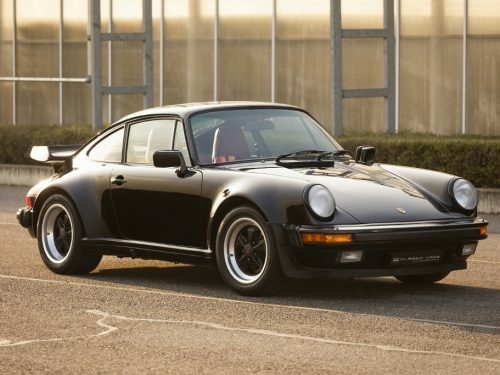 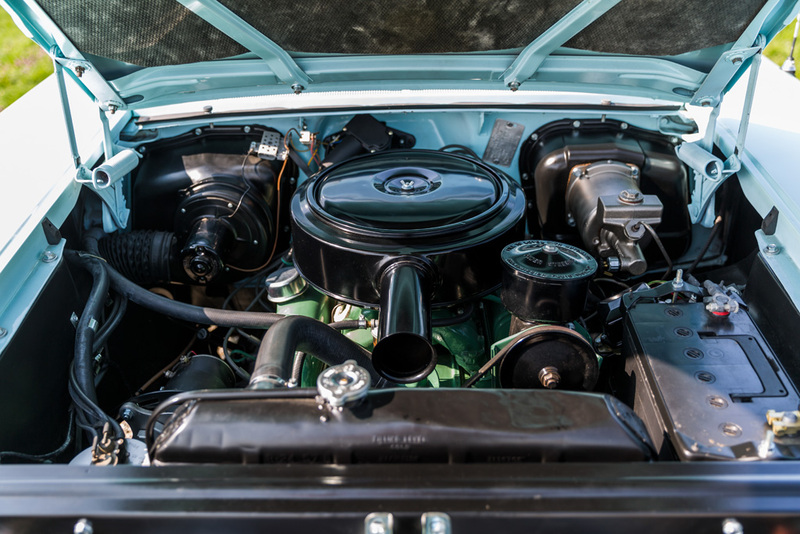 The smaller engine from the earlier Super models was replaced by a 6.0 liter engine. 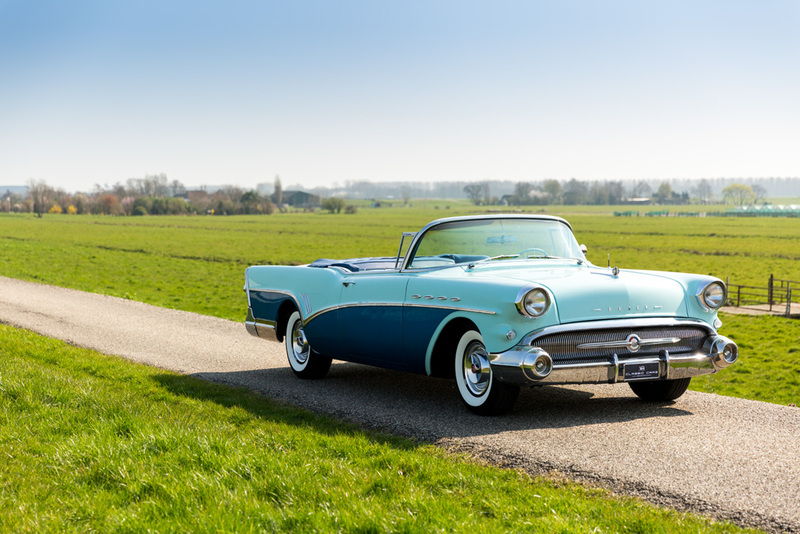 Some 2000 convertibles were built in 1957, and you could own one for a little less than $ 4.000,-. 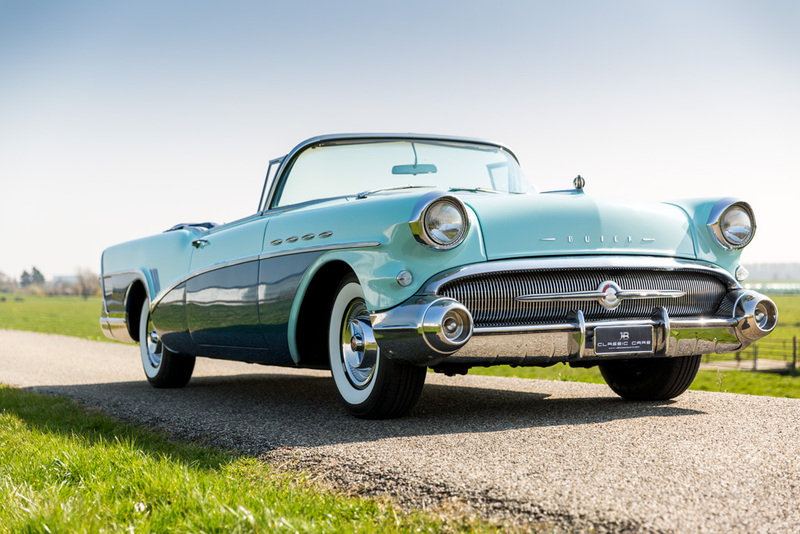 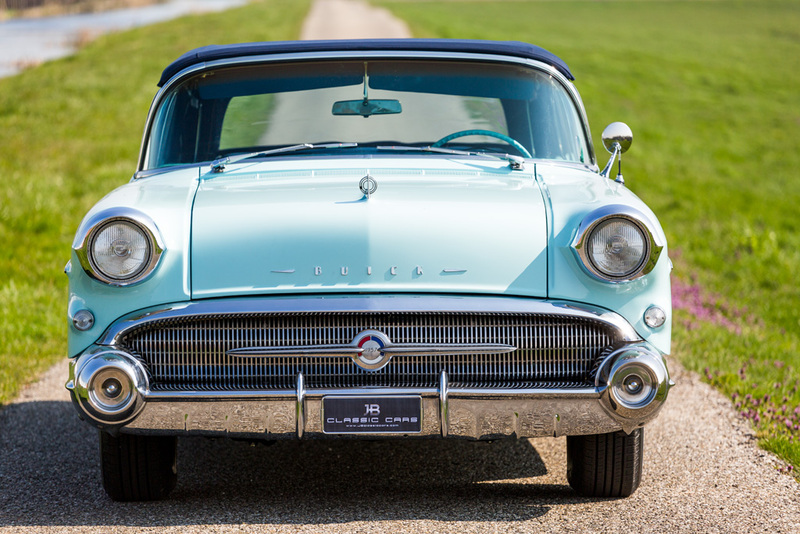 This Buick is in a perfect condition. 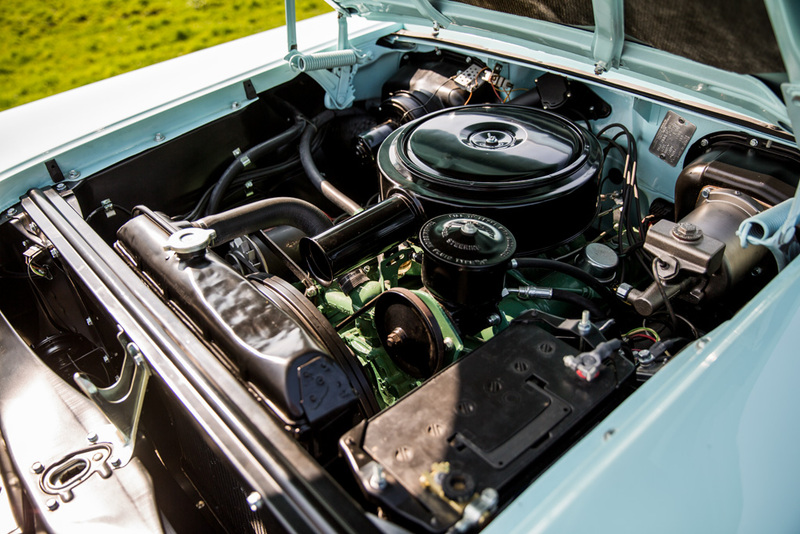 Just take a look underneath the hood to see the state of the engine compartment. 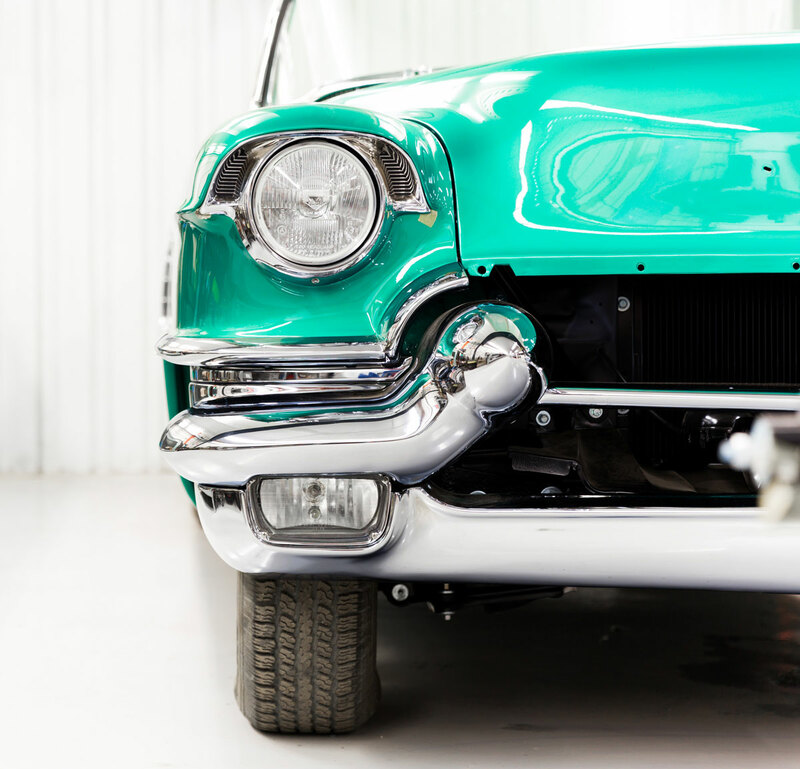 Some years ago, the engine was overhauled and chrome parts were brought back in the right condition. 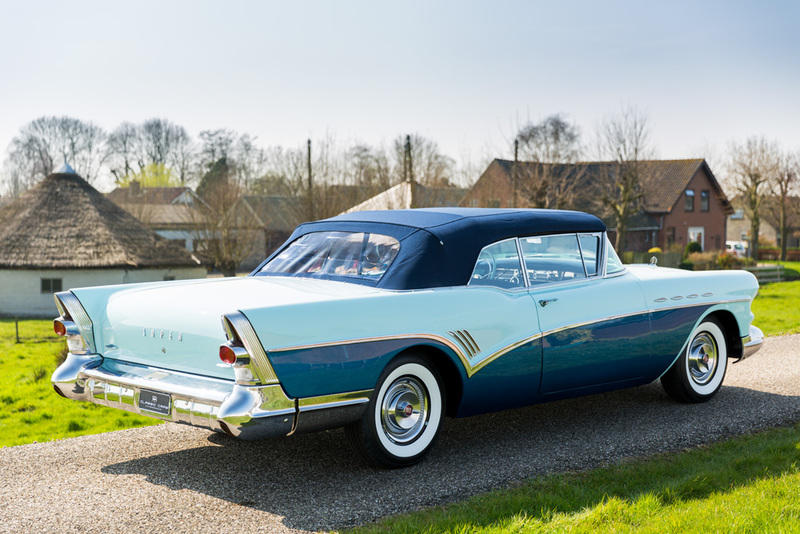 More recently, the car got a new paint job, had its stainless steel parts polished and its interior and instrument panel renewed.